LOS ANGELES -- LeBron James made NBA history on Tuesday, hitting the final shot of the first quarter to become the youngest player ever to reach the 30,000 career regular season point milestone. James, who turned 33 on December 30, surpassed Kobe Bryant as the youngest player to hit the 30,000 figure. Bryant was 34 years and 104 days old when he reached the mark. 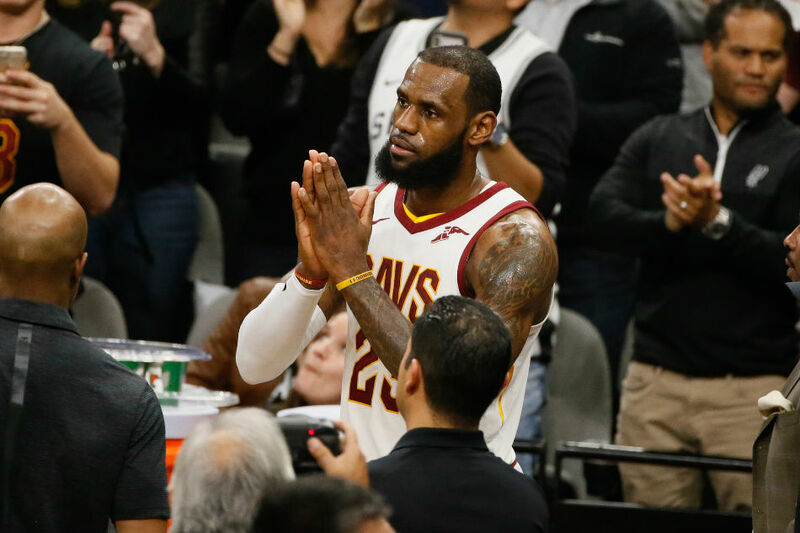 The Cleveland Cavaliers superstar James did it by nailing a jump shot against the San Antonio Spurs with 1.1 seconds remaining for his eighth point of the contest. The basketball sar started out as a high school phenom who grew up to play for his hometown Cavaliers' team, then the villain who left for Florida, to the favourite son who returned home. He was drafted first overall by Cleveland in 2003 and in February 2008 he became the youngest player to score 10,000 points. Five years after James played in his first all-star game in 2005, he made "The Decision" to take his talents to South Beach to play for the Miami Heat. The move paid off with his first NBA title in June 2012, when the Heat beat Oklahoma City in five games. After much success in Miami, James announced on July 2014 he was returning to Cleveland and two years later he delivered a championship, ending the city's 52-year title drought. James could now make a run at the league's all-time scoring record -- Kareem's career total of 38,387 points. But before that, there are more milestones to collect. Coming into Tuesday's game, James led the NBA in field goals made this season (463) and over his career, he has made 10,886 field goals which is 19 away from surpassing Nowitzki (10,904 FGM) for eighth all-time in league history.